Searching for a new home online can be a daunting task. There are so many websites and so much information to go through, it can become overwhelming for someone searching for their next home. I have a free service called The Home Buyers Scouting Report. In this online service, you get up to date information on any type of home on the market. You can search based on zip code, county, city, school district, or area. Birds eye views are available, along with a search feature that allows you to see if a Starbucks is nearby. It’s really cool and easy to use. Another interesting feature is the ability to save specific properties and get an alert when the price is reduced. You can also receive emails on new homes that are placed on the market in the area or areas that you choose. Are you an investor looking to purchase foreclosures? 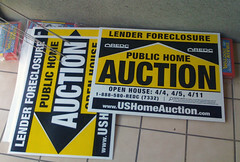 If so, you can search for foreclosures only and get an email when a new foreclosure has hit the market. If you are interested, click on the link below, give it a try, and let me know what you think. I cannot stress enough how important it is to stay informed in 2012 as homes seem to be selling much faster.